On March 26th, SEGA has officially announced that the online role-playing game Phantasy Star Online 2 will be released not only on the PC, but on the PS Vita and smartphones as well. The game is planned to be released early summer of 2012, and will be free to play with certain purchasable in-game items. To sustain the service for as long as possible, solid support is necessary, and the PC platform is the easiest to do that on. With easy to do updates and constant support, the game will also focus on its availability for those who don't have a high-end PC. 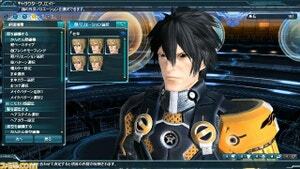 As previously mentioned, PSO2's other main platform will be the PS Vita. Both the PC and the Vita version of the game will have a shared data, allowing the player to enjoy the game both inside and outside of your home. The Vita is also capable of a large-scale update that the PlayStation 2 could not do. Since both versions of the game data will be stored on a server, counter measures for cheating will be done smoothly as well. 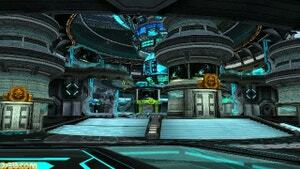 The third and final platform for PSO2 will be smartphones. This one will act as a sub-platform for the other two, with a more simpler control and interface. The content itself will be practically the same, but it will be a single player game. Of course, simple interactions with friends online is still possible. 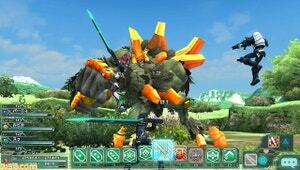 Aiming to become a RPG with no borders, PSO2 can be enjoyed just as much with a smartphone as you can on the PC. The game will be free to play, with certain purchasable items. Players who have not paid will not have any level restrictions or other limitations in-game. The items will consist mainly of cosmetic items to make the player's character look more unique. 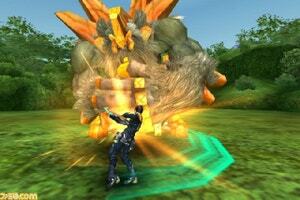 In-game money, called ArcsCash, will be common between the three gaming platforms. 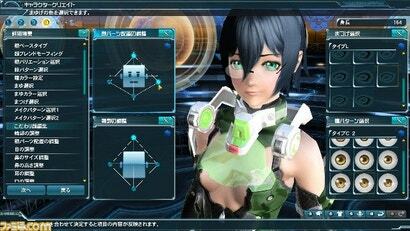 On April 5th, the Beta for PSO2's character creation kit will be downloadable from the official website. The character you create here will be playable for the upcoming closed beta testing of the game. There is also a character contest planned, for those with creativity. For more pictures, click on the following link. 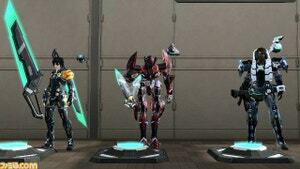 PSO was a great game. Lets hope it does not take to long for this to hit English shores. Shouldnt even be called phantasy star. Nothing to do with the original series and is an abomination that should never have seen a western release. Time would be better spent trasnlating the Sega Ages: Ps1/ps2 remakes on ps2 that never saw a western release. you shut your filthy mouth.... PSO on theDC was great.